Massimo sits on Practice Area Committee for the Insolvency group 2019, joining in 2018. He is a valued member of IR Global and has regularly attended events to great success. THE RELATIONSHIPS BETWEEN THE FIRM’S PARTNERS DATE BACK DECADES AND THE ESTABLISHMENT OF FERRARI PEDEFERRI BONI WAS THE NATURAL DEVELOPMENT OF THIS LONG PERSONAL AND PROFESSIONAL HISTORY. In the past, we have worked for virtually any type of law firm from some of the biggest independent Italian law firms to mid-sized boutique style law firms, from University Professor driven law firms to international law firms, always trying to keep with us the best part of any of them. We are dedicated to handling business legal issues, we have had the opportunity to gain expertise in complex operations and litigation cases achieving a considerable know-how also in cross-border and international matters and building solid relationships with clients and colleagues of different Countries. Human factor is also key for us and we make any effort to ensure that our people feel part of a team and are put in the best conditions to work with their colleagues and clients. 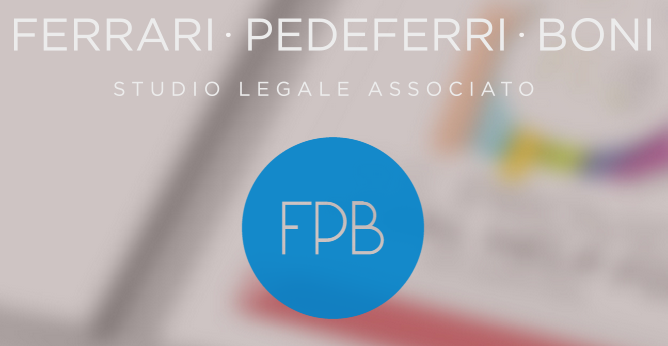 Ferrari Pedeferri Boni is member of ILN – International Lawyers Network, ASLA, CILS.